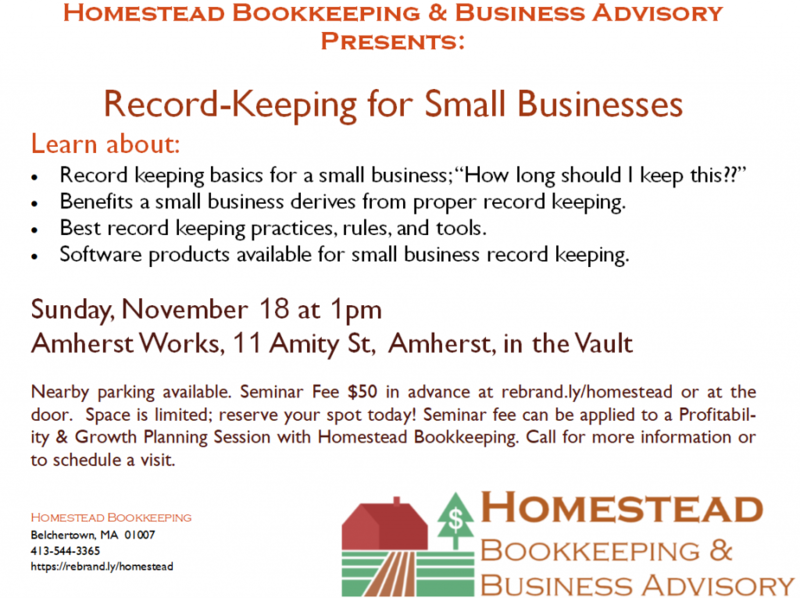 Homestead Seminar Series Kicks Off November 18! Existing happy customers are your best marketing medium. Consider implementing a referral rewards program, such as discounts or free items or services, to encourage your customers to tell their friends about their great experience with you. 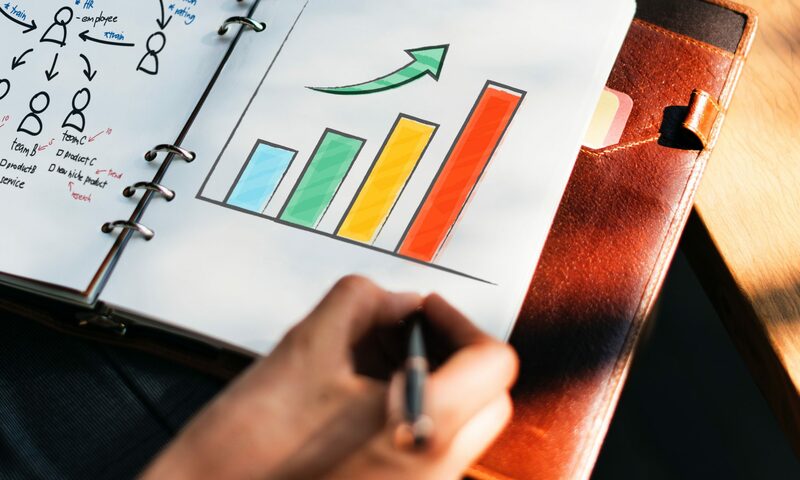 Specializing in a specific product or service, or zeroing in on a particular customer base can result in the “big fish in a small pond” effect, where you are the only one who provides exactly what your market is looking for. Automate wherever possible, and reward employees for coming in ahead of time and under budget. Providing exemplary customer service, such as fast response times, spending time to educate your customer about their purchase, offering after-sale support, and staying in touch with via email and social media not only makes for happy customers, but can lead to their talking about you to others who are looking for what you offer. See tip 1! Strive to maintain a consistent message and look across all media, from in-store signage and paper items (like invoices or mailings) to email, website and social media pages. If you refine your message or update your logo, make sure you update all the places where your customers might see it. Uncertainty about your brand or offerings can lead your customers to question your commitment, or wonder whether you are still the same business they enjoyed working with in the past. Expect an immigration audit of your firm. The intense focus on illegal immigration is sparking new enforcement efforts. For employers, this means a big jump in I-9 audits. Key point: Immigration and Customs Enforcement (ICE) agency audits are not made by appointment —ICE auditors just show up at your door. ICE auditors are looking for I-9s with missing information and, more importantly, documents you have on file proving, first, the worker’s personal identity; second, that the worker is authorized to work in the U.S., and, lastly, that these documents look like the originals —i.e., the copies do not appear to be doctored. But ICE can question an I-9 for any reason. Another example is your having on file the wrong document for the category of documentation required. The steepest are up to $16,000 per violation and are levied against employers that knowingly hire and keep undocumented workers on the payroll. More common are $1,100 fines for administrative failures. But if you have I-9 recordkeeping issues with one employee, you likely have them with many—at $1,100 per violation. • previous history of violations. Reminder: You are required to keep all I-9s on file not only for current employees, but also for former employees, for 3 years from date of hire —or for 1 year after the employee terminates—whichever is later. When you receive an ICE Notice of Inspection, you have just 3 days to produce all your I-9s (extensions are granted, but don’t count on it). 1. Check your I-9 files for any potential problems. You can try to fill in missing I-9 data, but it is up to ICE whether to accept your additions. 2. Make copies of all forms and documents before you give the originals to ICE. The documents ICE typically asks for are supporting documentation, such as a copy of your payroll and employee roster, business permits and articles of incorporation. 3. If you did not get an I-9 at time of hire, do not try to obtain one at this point. ICE uses forensics experts to determine whether I-9s are recent; if they are, you are in more hot water. Sixteen days to Homestead’s Grand Opening! On October 15th, Homestead Bookkeeping will be officially open for business. …but if you are in need of a bookkeeper sooner, please get in touch. I can help!